The first library in Chesterfield County was organized around 1800 in the town of Chatham, as Cheraw was known until 1821 when the town was issued a charter. There is no record of what happened to this first library, but in 1855 the Cheraw Lyceum was organized and immediately began to collect books for a library. At the time of the War Between the States, the library was housed in the Lyceum building and was in a flourishing condition with 1,258 volumes in its collection. Before burning the building, Sherman's Army ransacked the library for reading material and carried away many of the books, scattering them along the road on their march towards Fayetteville. Many books were rescued and saved for the Lyceum Library when it could be resumed. The library was reestablished after the war, but with money for neither books nor personnel it faded away. In May of 1915 the Civic League established a library in the old Market Hall. This library was sponsored and planned by Mrs. Harriet Powe Lynch who contributed some 500 to 600 books to the collection. In 1923 with the permission of the last officers of the Cheraw Lyceum, the books from the Civic League Hall were transferred to the Lyceum building. The Lyceum building was a charming little red brick building erected between the years of 1824-34 to be used as a Court of Equity and had been turned over to the Lyceum when the courts were transferred to Chesterfield, the county seat. The town of Chesterfield established a small public library which was housed in its own building. To this library, the library in Cheraw, and to the communities of Pageland and McBee the South Carolina State Library Board provided book deposits of up to 200 volumes which were changed quarterly. There had always been an interest in Chesterfield County in the establishment of county-wide library service. In 1949 the Civic Club in Chesterfield called a meeting to discuss the possibility of obtaining county-wide library service either through the establishment of a county library or through participation in a regional library. The meeting was well attended, but at that time the cost of either program proved to be prohibitive. Another attempt was made in 1954 to establish a county library. The Superintendent of Education, Mr. J.H.C. Dalrymple, called a county-wide meeting in Chesterfield to discuss the improvement of public library service in the county. Again the meeting was well-attended and the discussion was general but still the cost of the service proved more than the county could afford at that time. 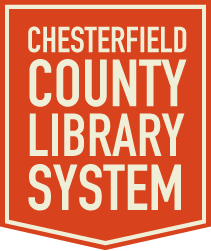 In 1959 the State Library Board was able to make an offer to Chesterfield County of a County Library Demonstration program partially funded with Federal and State Aid. Newspapers in the county gave the proposal full support and it was endorsed by every major community. Since the demonstration program required local support of 50 cents per capita the question of establishing a library was referred to the voters and was defeated by a small majority. In 1967 an act was passed by the legislature legally establishing the Chesterfield County Library with a governing board of seven trustees. This Board was finally able to secure the necessary local funds for a public library. Colonel Ernest Bostick Stevenson was employed as librarian and charged with the task of planning and establishing library service in the county. An attractive headquarters library was established in an old store building on the Main Street in Chesterfield. Branches were opened in Pageland and Cheraw and a contract signed with the Darlington County Library to provide bookmobile service in rural Chesterfield County. The entire program was supported by continuous and well-planned publicity. As the system grew new services were added. An extensive outreach program was initiated in 1972 using audio-visual and print materials, special story hour programs, and special film programs to reach library patrons who found it impossible to visit the main library. In 1974 a program van was purchased which eventually enabled the library to reach a program audience of over 1000 a month. In 1976 the Chesterfield County Library put its own bookmobile on the road replacing contract service with Darlington. Colonel E.B. Stevenson, who had been the first librarian, retired in 1976. In his seven years as director of the county library Colonel Stevenson had built a strong county library system with service reaching most of the residents of the county. 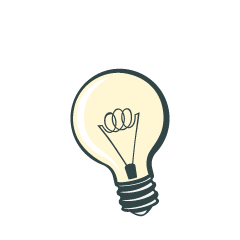 Because of the tremendous growth of the system and the heavy use by the public of all points of service, library facilities in all three locations of the county have been completely outgrown. A headquarters building in Chesterfield, and a branch in Cheraw are badly needed. The town of Pageland has been successful in securing the funds for a 3,600 square foot library building to house the library service in that community. The building is now under construction. The Chesterfield County Library serves its community well. For three years in the seventies it led the state in the use of the State Library's interlibrary loan service--clear evidence that the staff of the library is willing to do that little bit extra to serve the public. In spite of space and collection limitations, the Chesterfield County Library provides good service to its patrons.